London : S. French, 1953. The Waltz of the Toreadors is filled with situational comedy. The play takes place in the house of the General ("Leon") and his wife Sain Pe where their two girls Estelle and Sidonia are trying on dresses. Leon has hired a new dashing young secretary by the name of Gaston. He compares his marriage to Saint Pe to stamp collecting. His lover, Ghislaine presents him with evidence that his wife has been cheating on him with his old friend, Dr. Bufonte. Her ruse, however does not have the intended affect. Instead of committing at long last to his mistress, he becomes jealous of Dr. Bufante and in the next scene, he challenges Dr. Bufonte to a duel. Ghislaine, determined to win the General's affections, threatens to take her own life and jumps out of the window. She lands on the dashing young secretary, giving the plot yet another twist. Mistaking the secretary for Leon, she kisses him, thereafter refusing to be touched by anyone else even the real general, who enters with his unconscious wife. She too mistakes the secretary for her husband and kisses him. 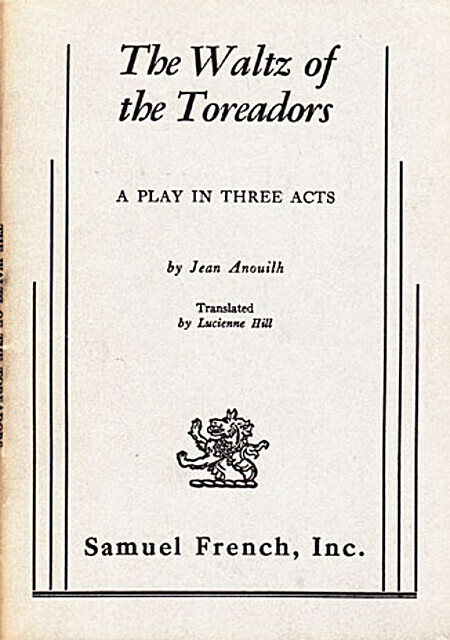 In the second act, the daughters reveal their affections for the secretary whom they heard had kissed another woman and fall into a jealous quarrel. Ghislaine never recovers from her stupor and continues to behave as though the secretary is her Leon. In a roucus scene between the married couple, Saint Pe confesses that she was often unfaithful to the general, and she knew all along of his unfaithfulness to her, but he's HERS! The general tries to kill her.